The DataList control is a standard control of Asp.Net like others. It is used to display repeated list of data or items. 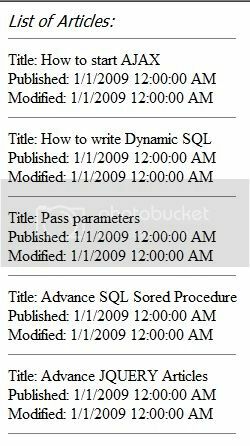 You can bind any datasource in this DataList control like DataTable, SqlDataReader and XML etc. In most e-commerce site use DataList control to display products insted of repeater control. Here in this example i will show you how one can bind data to DataList control in runtime. Dont forget to add the "using System.Data.SqlClient;" namespace. Hope now you bound the DataList control to display repeated data.